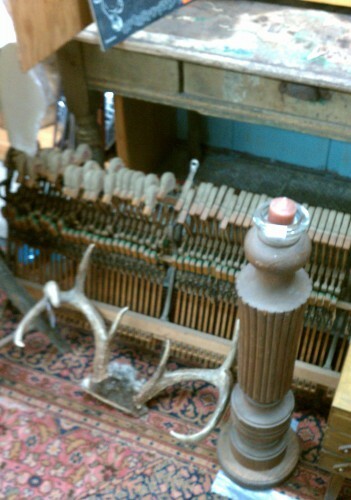 I love the look of the antlers by the insides of an antique piano. 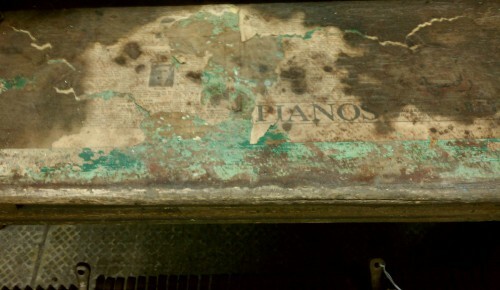 Even more amazing, the old newspaper adhered to the top of the old one-drawer wooden farm house table has the word “pianos” front and center! 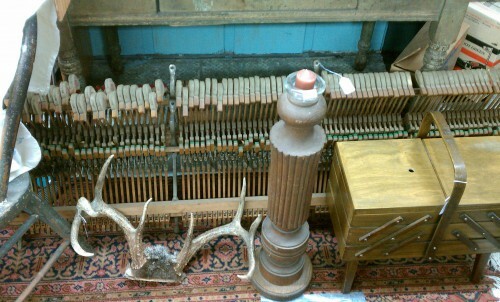 We brought a lot of cool stuff in with us today, working at Exit 55 Antiques (Fergus Falls, MN). 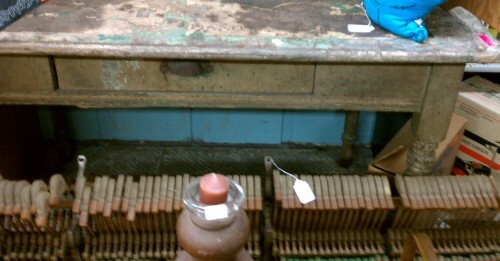 We’ll be posting more photos at our Facebook page, so “like” and follow us there to see them all. 2 Responses to "Primitive Chippy Paint Wood Heaven"